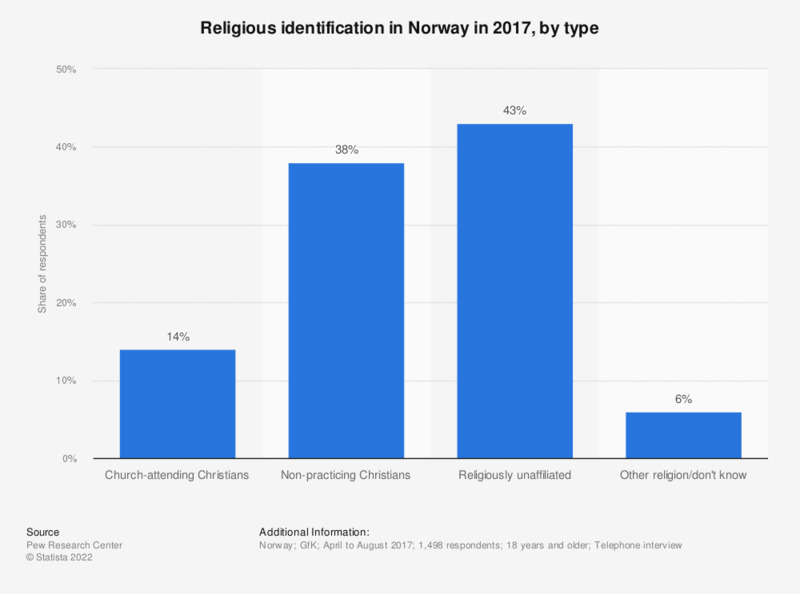 This statistic shows the result of a survey on religious identification in Norway in 2017, by type. That year, the largest group of Norwegian population (a share of 43 percent) participating in this survey identified themselves as religiously unaffiliated. Only 14 percent of respondents was practicing Christian, defined by the source as someone who goes to church at least monthly.